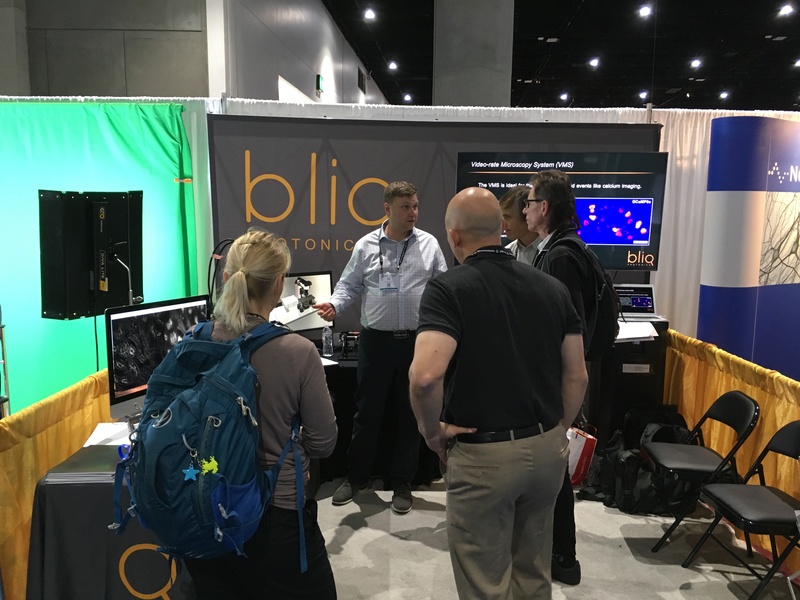 The 2018 edition of the Society for Neurosciences Meeting took place in San Diego from November 4th to November 8th. 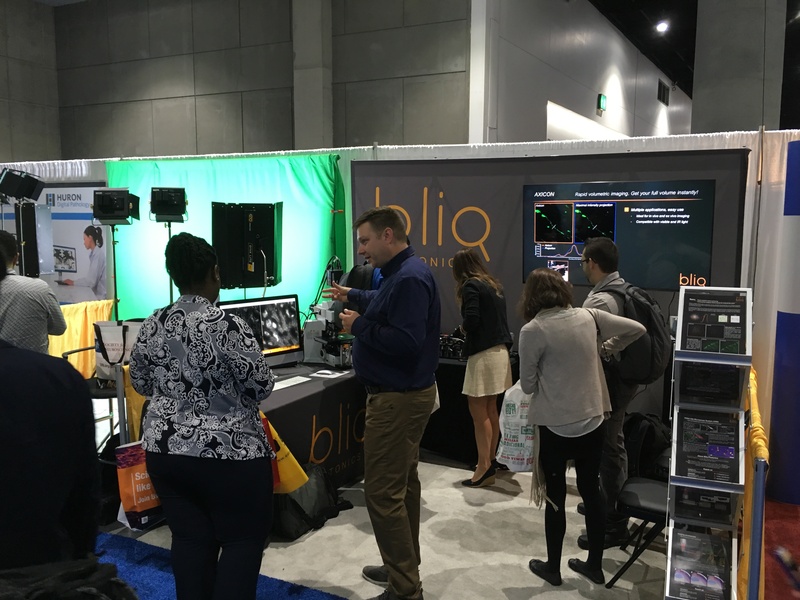 It was the ideal event for Bliq Photonics to showcase it products: our fast and flexible multiphoton microscope for in vivo imaging (VMS) as well as upgrade modules designed to enhance resolution (SPARQ and SLAM) or perform volumetric imaging (AXICON). 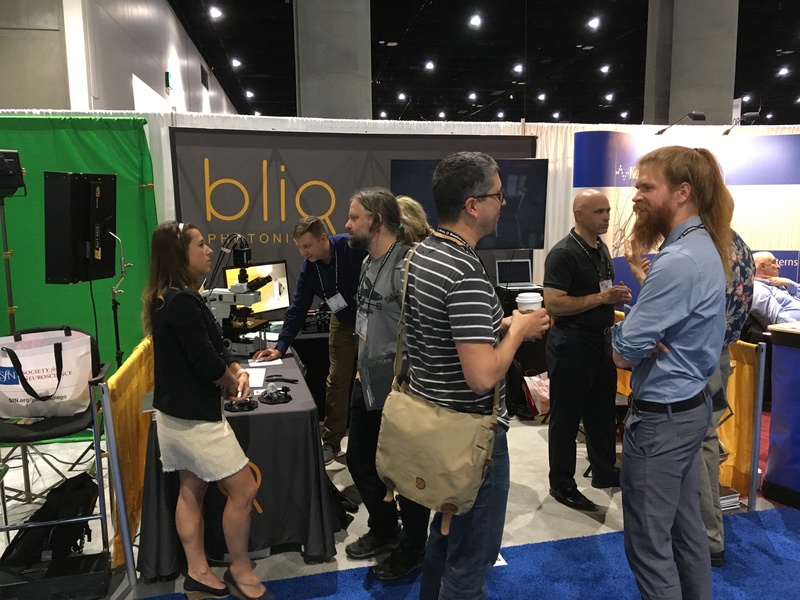 Hundreds of researchers, students and members of the industry visited our booth to talk about technology, applications and integration. Know that your input and feedback are deeply appreciated and help Bliq Photonics’ development. 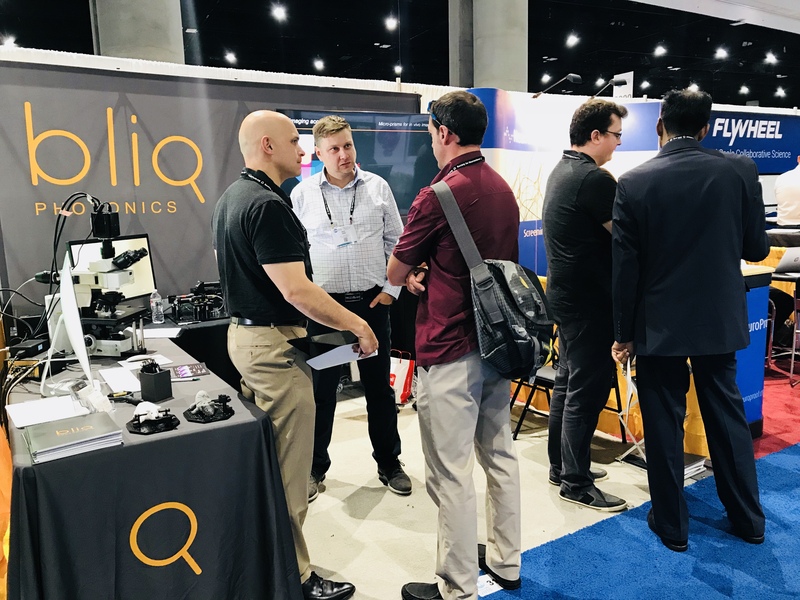 Our team at Bliq Photonics is always available to discuss, design and built the optical tools that will help your research grow.